At some point, GCC economies will need to give thought to tax on income. Western economies appear to be edging away from globalisation and embracing nationalism, yet again, as evidenced by President Trump’s election as well as the Brexit vote. One could argue that these events may have been induced by social frustrations of the status quo, which is ultimately fuelled by the need for change in respect of increasingly unstable economic structures ridden with cyclical crises. In the midst of these events, there are many historical events that young countries could be assessing while building their economies. In most countries, the two thickest strings tying citizens to their governments could be, possibly, employment and taxation. These matters are key to achieving local political stability which, in turn, allows for the opportunity to pursue economic prosperity. Developed economies have been dealing with growing unemployment issues since the global financial crisis and this is where young countries — such as the six oil-based economies that comprise the Gulf Cooperation Council (GCC) — could be learning from. The GCC countries are in a position to make proactive decisions to prevent history from repeating itself. For example, the US’ capitalist economic regime created a highly competitive business environment which benefited consumers. US corporations began implementing creative cost-cutting strategies to enhance their market share, such as the migration of production units to lower cost jurisdictions. Such a strategy contributed to the global success of US corporations. However, the opportunity cost at hand could question whether a revision is imminent. Employment opportunities in the US have become increasingly threatened by the closure of US-based production units across various industries. As a result, tax revenues from individuals were impacted and the government had to increase the corporate tax rate to subsidise the loss. As the vicious circle continues, the higher corporate tax rate posed further challenges to the already strained corporate ability to offer employment opportunities. In the meantime, social welfare costs are on the rise due to growing unemployment. President Trump promised to bring “American” jobs back to the US by many fiscal and regulatory amendments, including reducing the tax rate on products manufactured by US brands within the US and, on the other hand, increasing it on US products manufactured abroad. The Trump administration is yet to provide additional details to support this strategy and seize the ongoing confusion created by its announcement. As it stands, the strategy currently stipulates that non-US brands operating in the US (with production units outside the US) will be offered a lower tax rate than US corporations producing elsewhere. While the US is struggling to identify an appropriate balance between the individual and corporate income tax rate, GCC governments are manoeuvring their economies through lower oil prices and political turmoil. 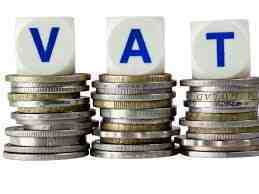 The concept of taxation is slowly being introduced in the region such as the UAE’s Value Added Tax scheme. Although some GCC countries, including the UAE, explicitly indicated that it is not currently assessing the possibility of imposing direct corporate and/or individual income taxes, the thought is looming in everyone’s mind. As the GCC states are striving towards “developed economy” status, it is becoming clear to them that income taxation forms the backbone of any developed economy. The GCC states could begin balancing future tax issues by making decisions today. In 1985, Italy passed the Marcora Law which allows unemployed citizens to form coalitions and take advantage of their accumulated welfare benefits to incorporate an employee-owned corporation. The law reduces risks stemming from balancing individual and corporate income tax rates by combining taxed parties into one. Furthermore, each GCC state has been, for decades, attempting to manage the single most prevalent employment issue among the GCC — the citizens’ over-dependence on government jobs. As per the Labour Force Sample Survey 2014 conducted by Qatar’s Ministry of Development Planning and Statistics, 81 per cent of Qatari citizens who are active in the workforce are employed by the government. This phenomenon adds further pressure on GCC governments. Decisions based on the spirit of the Marcora Law could potentially curb the growing dependence on government jobs and simultaneously manage risks arising from corporate/individual income taxation inequalities.